My Kindle arrived! I wrote about gadgets in a recent post. Many of my friends have been demanding a blog post about it ASAP, but I could actually start writing after a week of playing with it. In case you don't know, Kindle is a book reader device from Amazon. 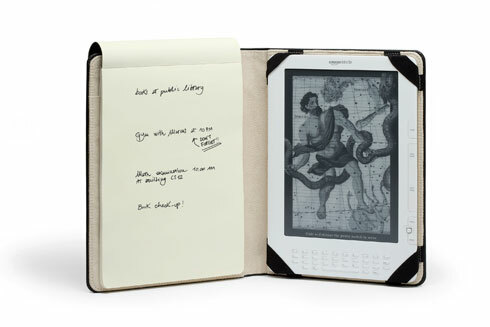 It is a thin, lightweight, electronic reading device that you can take anywhere and download your favorite book, newspaper, or magazine right into it. Size: 203.2mm x 134.6mm x 9.1mm. Storage: 2GB internal (approx.1.4GB available for user content). It's said it can store approx. 1500 books. Battery life: up to 2 weeks with wireless connection off. Connectivity: 3G, works in many countries, but not in Armenia ;( check the map. USB port: USB 2.0 (micro-B connector) for connection to the Kindle U.S. power adapter or optionally to connect to a PC or Mac. 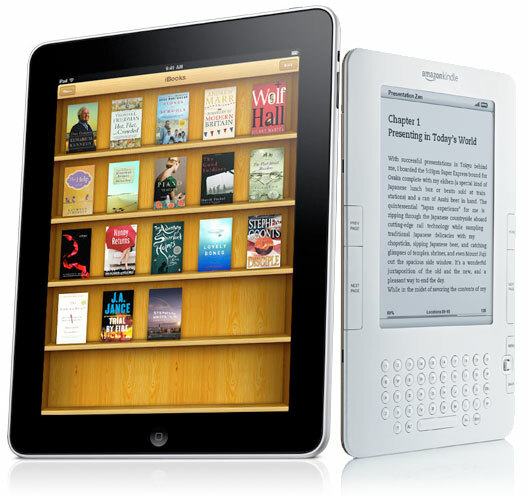 iPad and Kindle, why compare? you can put some music into the respective folder in Kindle and it can be played during reading. some instrumental music would be good to focus on reading and isolate from the ambient noise. when plugging the USB cable, the computer instantly recognizes a new device as a removable memory. there are folders for documents, audiobooks and music. just drag and drop the files.. no software needed for transfers. Kindle has a Built-in Dictionary with Instant Lookup. In text format documents you can put the pointer to a word, and its definition will be instantly shown from the Oxford dictionary. Very useful! Also, it's possible to highlight quotes, make annotations on interesting parts, put bookmarks etc.. (that's what the qwerty keyboard is useful for). Also, unlike a laptop or smartphone, Kindle never gets warm so you can comfortably read as long as you like. 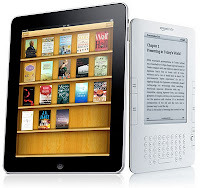 while text formats are preferred, PDF files can be easily read on Kindle too. I noticed that it's better to convert PDFs into text format (like .prc) since the fonts will be scalable on Kindle and it will be possible to highlight interesting parts in text and make notes on it. turns out the old good Mobipocket reader (the only e-reader app that worked on my symbian phone) has been acquired by Amazon and it converts PDFs to a favorable format. it's not touch screen. But the coolest is: Read in Sunlight with No Glare. 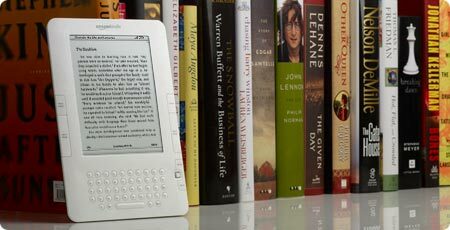 Kindle's screen reflects light like ordinary paper and uses no backlighting, eliminating the glare associated with other electronic displays. 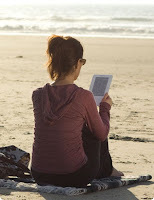 As a result, Kindle can be read as easily in bright sunlight as in your living room. The device has a 5-way controller (joystick) enables precise on-screen navigation for selecting text to highlight or looking up words. There are buttons for Menu, Home, Back, Next page and Previous page. it fully charges in 4 hours with its USB 2.0 cable, however it has also a power adapter included that can be connected via USB port. it's possible to download audiobooks from Audible.com (in its format) and listen them on Kindle, bookmarking in some parts, like in text. However, I'd highly suggest to do the traditional Armenian way of shipping stuff from the US -- finding someone coming from US to Armenia to actually bring it with him. It ships within 5-7 days in US for free.. faster shipping can be available at some cost, however if you haven't yet got the Amazon Prime account, you can get a 1-month trial for free and get things delivered faster, for free :) (if you forget to uncheck a certain button there before the trial expires, it will, however, charge you some $70 for the Prime account). Ok, i know that you see that I'm quite happy with it, but there must be something that would make it not perfect :D one thing i would state is that the page flipping is a bit slow, however it's not annoying and easy to get used to. another thing is that it doesn't support unicode... but! you can make PDF files with Russian/Armenian texts, in appropriate format and still read it on Kindle. Still, copying quotes and making annotations won't be possible if it's not a text file. 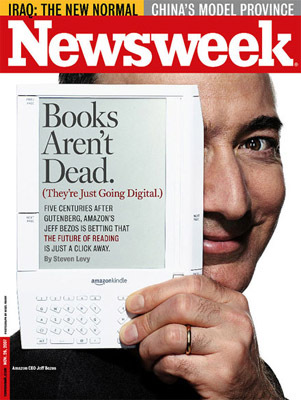 Kindle was first launched in Nov. 2007 it was the 1st generation device and had a slightly different design from the current Kindles (launched Feb 2009). In June 2009 Amazon released a bigger Kindle DX (close to A4 format) and in June 2010 Kindle DX Graphite (roughly black version and with 50% more contrast display). 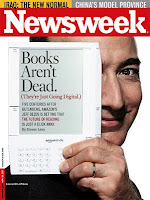 It's rumored that Amazon will release a new, thinner Kindle in August 2010. I was recommended by a Kindle owner (privet, Gaspar! 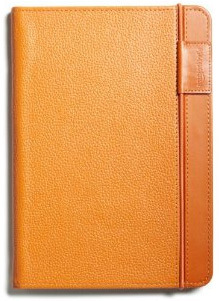 ;) to buy a leather case unless i want to have the back of the device worn out. The next day I bought my Kindle and its cover and it was shipped, i am opening my Google reader just to read that... Amazon has reduced the price for the Kindle (from $259 to $189) to compete with other e-book readers (the day before that, practically, hours after i purchased it). And it's $70 difference! now, i want my Kindle too!!! I have to say, you are a 'Titiz' Arpin jan - but this was really a great review! Arpik, hima haskaca, te inch lav ban e, bayc kpashtpanem iPady: Indz shat dur ekav iPadov ashxatel!!! Shat hesht e u hatcheli!!! Naev, halal a Amazonin, vor 70$ veradardzrel en!! Isk es hima (arden 2-rd tarin e!) Canon EOS em uzum!! IMHO too expensive for something that does only 1% of what iPad does and does in in B&W. They dropped the price for about 50% when iPad came around yet I think its WAY overpriced. soo... finaly you got it!!! shnorhavor - myus bzikd vorn a? What's an important difference to note between the iPad and Kindle (ahem, ArmComedy!) is that the iPad screen has backlighting/glare which makes it harder to read than the ink display on the Kindle. Remember, the Kindle is more book-lovers and people who want to read a lot of text electronically. After sitting in front of a computer all day, I like giving my eyes a break and reading text on the Kindle vs. the iPad. Just my two cents :) Great review, Arpik jan!